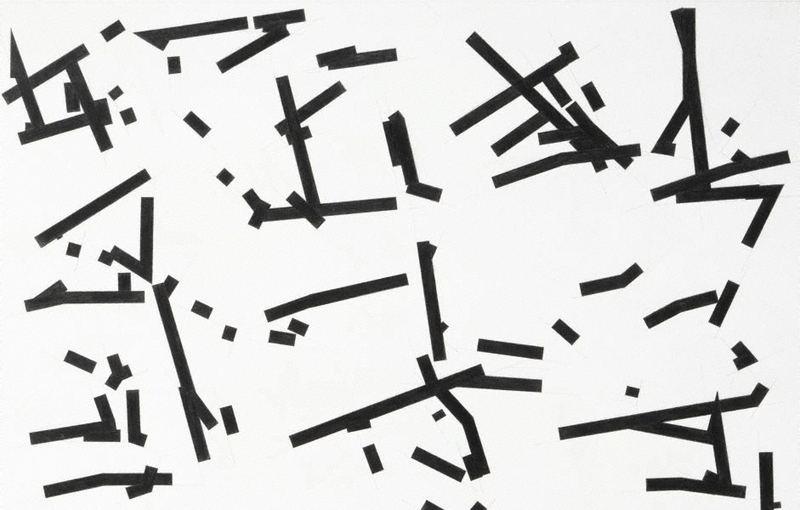 This drawing is from a series based on Dmitri Shostakovich’s String Quartet No.8 1960. This compact and focused quartet was written in three days and dedicated “to the victims of fascism and war”. The drama and intensity of the music is reflected in the drawings, which are like Lewis’ own musical score. The music and drawings are considered to be simultaneous gestures and Lewis sees his work as an inversion of the role of conductor. He is a visual choreographer. Signed and dated l.c. sheet, pencil "RL 1986".